Boxed mattresses often just have the top mattress and still need to be paired with a base or platform. This has contributed to more interest in adjustable beds. You can find them in a variety of colors and fabrics and with higher tech features. To get a more finished look, a headboard or bed frame with your base. 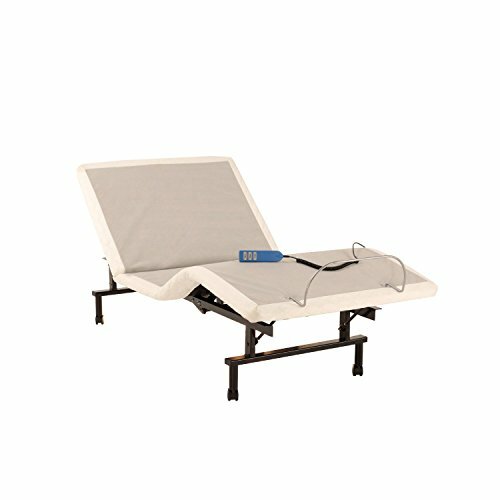 Adjustable beds are popular for all ages. Split options make them appealing to couples. They address health issues like back pain, snoring, acid reflux, congestion and other concerns so you can sleep more deeply. Enhance the time you spend in bed with under bed lighting and even speakers or USB chargers can keep you powered as your bed becomes your work station that allows you to work in bed. You can find the most luxurious adjustable bed or a cheaper model that covers the basics. Zero-G positions may reduce the pressure on your spine, shoulders, or hips. Relieve muscle tension and improve circulation.There’s nothing better for bad backs. Massage soothes sore muscles from today’s tough workout or takes you to a deeper state of relaxation. Adjustable beds improve your health, sleep and lifestyle. Just be sure to get a mattress that will work with an adjustable bed. Like mattresses, adjustable beds can be boxed and sent to you. However, most don’t offer returns or sleep trials because they’re so heavy. We looked at the top 5 adjustable beds based on number of reviews and features they offer. These have features and price tag to make them attractive choices for different budgets and price ranges. Unbox Mattress may receive a commission from sales on this page at no cost to you. This allows us to bring you even more reviews and industry news. Adjustable bases can run hundreds or thousands of dollars. Here are some top choices based on research to help you get the most out of yours. Full-body massage with 5 comfort levels. Alarm features gradually wake you from sleep with a gentle vibration. Works with original Purple mattress or new Purple mattresses. Want to see the powerbase in action? See our video and get more details in our Purple Power base review. Adjustable Comfort ergonomic bed with programmable elevation positions. 3-speed separate dual head and foot massage. Whisper quiet base with separate ergonomic head and foot elevations; programmable settings for lounge, TV/PC, and zero-gravity positions. 3 different height options for legs; includes mattress retention rail to keep your mattress from slipping on the end. Use with memory foam, latex, and air mattresses. This is a 2-for-1 adjustable bed base and the only one on our list that includes the mattresses. Comes in a split queen option, not just a split king like most adjustable beds. Comes with two xl twin memory foam mattresses for the split king (with a 30 year warranty on them!). Massage for head or foot (or both), plus a wave motion option that operates very smoothly and quietly. Supports up to 850 lbs. Has 2 sizes of legs so you can adjust depending on the height you need or prefer. 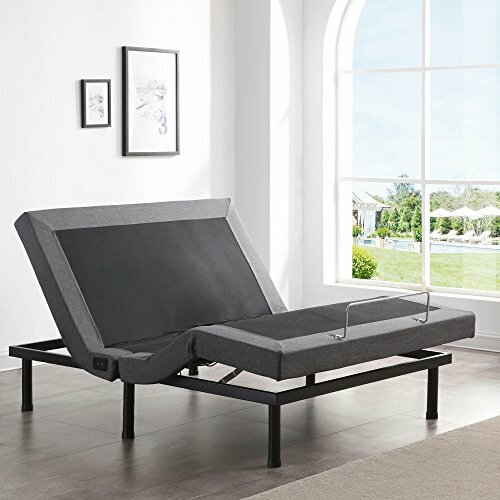 For the price this adjustable bed is a bargain since it includes the mattresses. 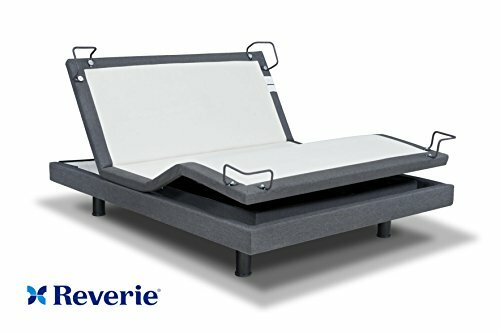 Reverie brand is known for making high quality adjustable beds so you can trust that this bed is well made (Reverie also makes the Tempurpedic Ergo). They’re on the cutting edge. Control this bed with the wireless remote or app (this comes two remotes). Massage with 10 different modes. This bed is practically silent so you won’t wake anyone up if you move it during the night. Ideal for light sleepers. This model is made by Leggett and Platt which is also a trusted brand. We picked this one for its affordability. That said, it doesn’t come with any fancy features. Wired remote (not wireless/no app). No massage, lights or presets. 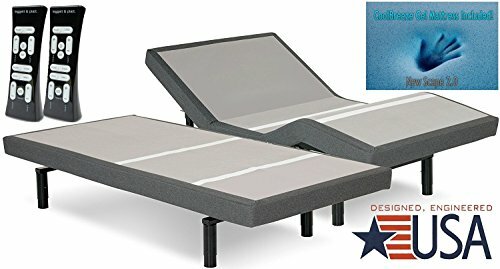 Economical, base adjustable bed that’s budget friendly. Easier setup than most adjustable beds and has varied height options. 16″ height (taller than most on market – ideal if you want a tall profile/look). Flat preset position to quickly return to a flat position. Ability to adjust head and foot positions at the same time (saves time). White glove set up service available (choose this one if you cannot lift heavier boxes). This adjustable bed comes in more sizes and options than any other adjustable bed on our list. If you want split queen or other unusual sizes, choose this one. 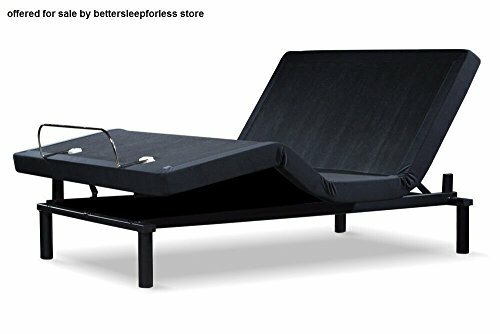 Ergomotion 2100+ Wireless Adjustable Bed Base! How much weight will you need to support? Consider your weight, the mattress and the base. This adjustable base supports up to 800 lbs. Do you sleep solo or with someone else? If you sleep with someone else do you want one mattress or a split base that each has its own control? How much space do you have? Wall huggers conserve space. What features do you want? Consider what’s important to you – massage, plugs, alarm feature, etc. Wired or wireless remote? Does it come with an app? Presets? What is your price range and does the price include the mattress? If you buy a mattress that’s too thick it won’t bend when you raise or lower your head/feet. Make sure you get a quality mattress though – the flexing motion will cause extra wear and you don’t want to sleep on a mattress that develops a fold in the middle. Adjustable mattresses can be innerspring, foam or a combination of the two. Most boxed mattresses will work with an electric bed. What’s your style? If you don’t like the look of the mattress and bare base, you might still need a bed frame to drop your adjustable base into. It gives a more polished/stylish look. That’s it for our top adjustable bases for 2018. What one do you want?